2007 Sexauer FT-0-JB "Companion" It is amazing how much guitar can go into this package. You probably don't need more, and may not even want more. This will be my third "0" sized multi-scale. 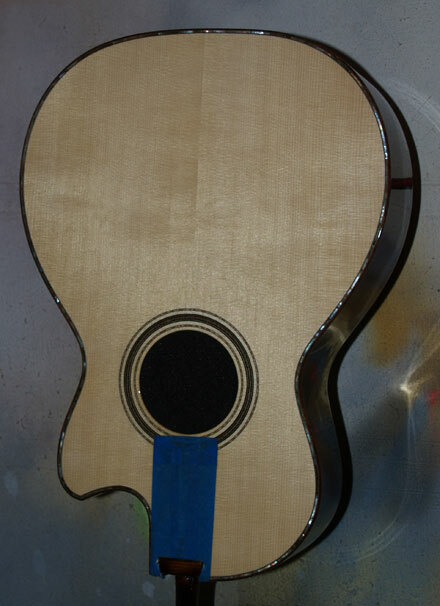 Today, March 14, 2008, this guitar's finish is all on, and awaits only a little more hardness before assembly. The back and sides are an unusual nearly dead black Cocobolo I usually refer to as CocoNegro, the top is Carpathian Spruce. 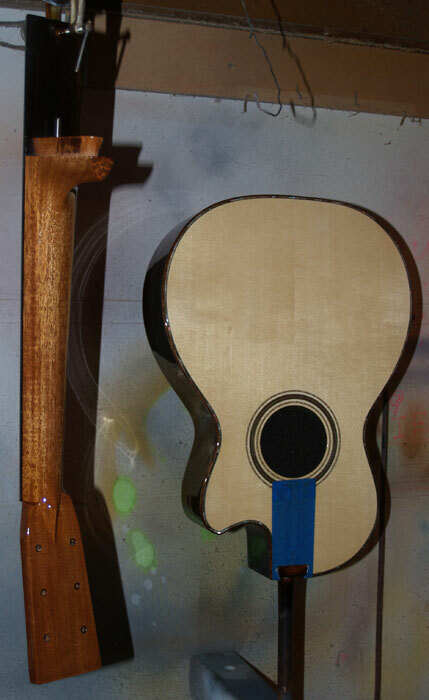 This commissioned guitar has it's varnish complete.Because of the multi-scale aspect, the volute on the back of the neck has it's two shoulders offset 1/4" from each other. This is an interesting design resolution problem. 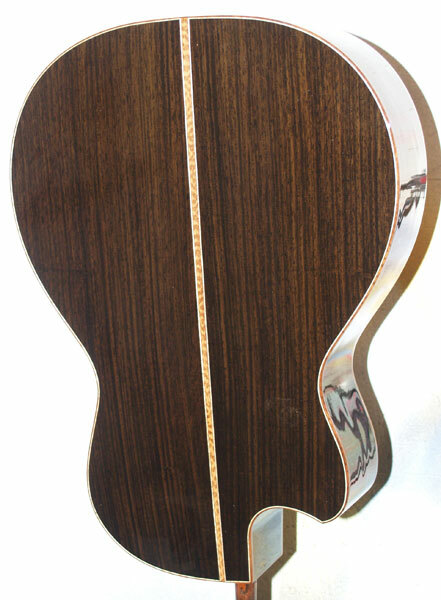 The Mother of Pearl top purfling is Black Lip Pearl, often called "Black Pearl". The Black CocoBolo isn't quite black; what is? In this photo I upped the light and contrast to show the color. In regular indoor lighting I usually see not color at all, just black. It is beautiful wood in a sleeper way.